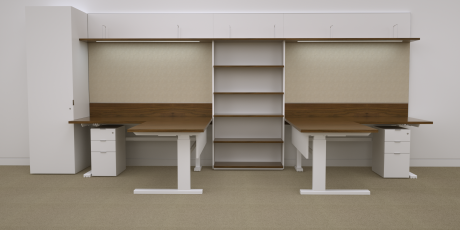 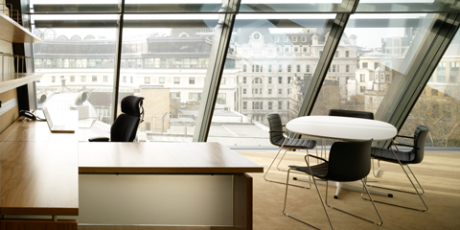 Major financial and legal institutions require a way of providing their management personnel with workstations that have all the necessary functions but can be designed to fit into varying shapes and sizes of cellular offices. 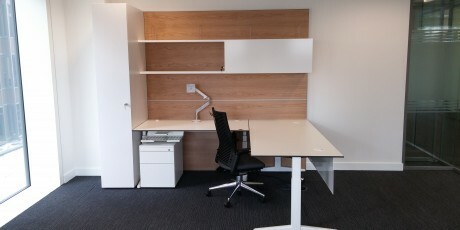 Freestanding or wall fixed panels with overhead shelving and filing incorporating pin boards, accessory rails and LED lighting all fitted together with veneered or laminate cable managed worksurfaces creating the HK workwall. 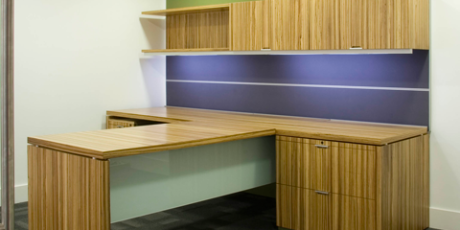 Rather than have one design and size to fit all, HK designs workwalls to the specific size, function and aesthetic for each client and each office. 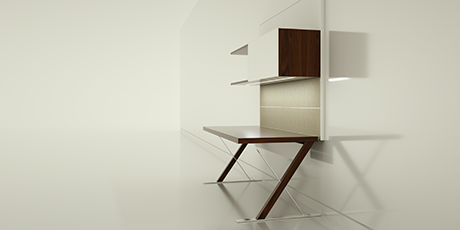 ‘Of course quality is important, of course delivery is important but try to design a bit of ‘jewellery’ into your furniture to make it stand out from the crowd’. 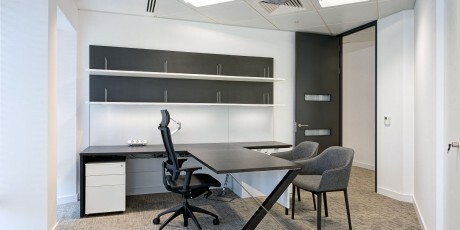 Thank you Adam, we hope and believe we have now done this with our new In-house designed eXecutive range. 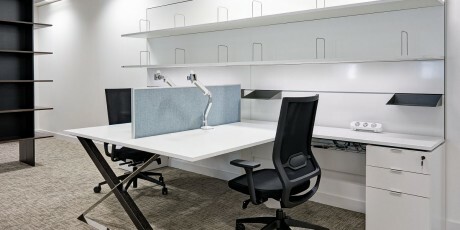 The eXecutive workwall and table range is named after the X base that combines polished steel with solid wood to create a unique look that not only looks superb but is strong, stable and different. 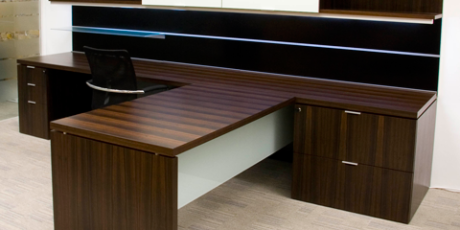 eXecutive has 38mm thick tops in a fantastic selection of veneers and laminates supported by steel beams with discreet cable management and wireless charging. 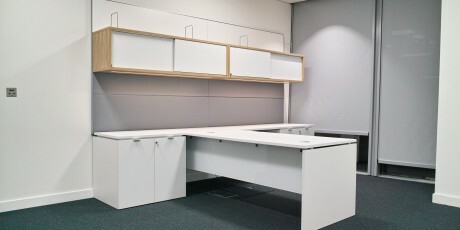 Wall panels in fabric, veneer, laminate or lacquer that are made to measure can accommodate tool rails and support overhead storage units, capable of heavy loads, with up and over back painted glass doors on soft closures and LED lighting with sensor controls. 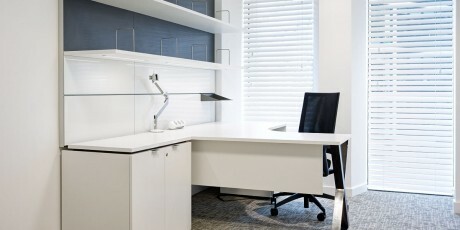 It is a workwall system worthy of the best offices at home and in the workplace. 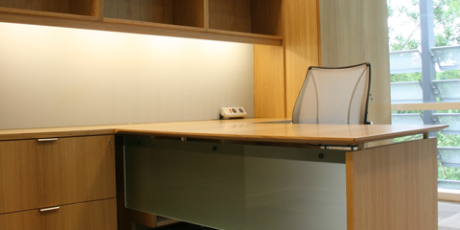 Each one is designed with painstaking care to ensure the perfect fit and function. 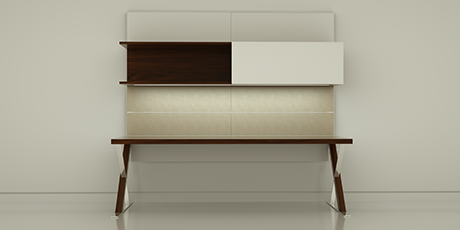 We are also developing a matching table range and high end back to back bench system that we believe will in time join the list of HK classics.